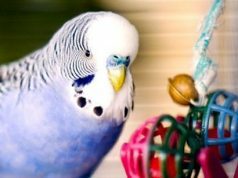 Intelligent and beautiful, companion birds bring many benefits to their owners. Some of these advantages might surprise you. Until you’ve lived with a companion bird, it’s hard to imagine how much birds add to the home with their cheerful, inquisitive natures. Keeping them healthy and happy is a lot of work, for sure, but they reward your efforts in so many wonderful ways. Most companion birds have fairly long life-spans, as compared to other pets. This means that you won’t need to deal with the grief of losing your friend to old age, after just a few years, as you would with a Guinea pig or a rat or a large dog. 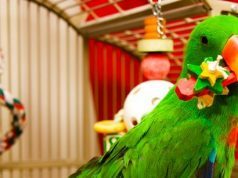 Pet birds provide life-long companionship. In fact, many of the parrot species can outlive you. That brings its own challenges, of course, because you’ll need to make arrangements for the animal. 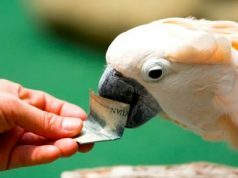 Recent studies have shown that keeping birds encourages social interaction, which is good for your mental health. It’s very cheering to hear your pets greet you with a hearty “Hi, guys! Hello, hello!” when you come home from work each evening. On the one hand, there is the interaction with other pet owners, such as the people on the bird forums or at your local pigeon club. And on the other hand, there is the interaction with your birds, themselves. It can be pretty shocking the first time you hear a parrot construct a sentence to explain something, talking around a concept that he doesn’t know the word for. That’s the moment when you know for sure that you’re talking with your pet, and not just to him. There is a basic “need” to nurture and take care of someone. It used to be that older children would help to take care of their younger siblings, and that most people would have children of their own once they reached their late teens of twenties. It’s more common to be an only child now, and increasingly common to be childless as an adult. Pets fill the need to nurture someone. 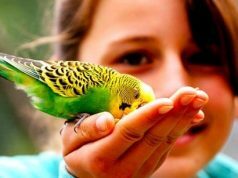 Pet birds are particularly good for this, because they require such a lot of personal attention and interaction with you, in order to be healthy. Any pet encourages empathy in children. A pet that you can really talk to, and who clearly understands what you are feeling, makes it even easier to learn to understand someone else’s thoughts and feelings. Playing with and talking to a pet will lower your levels of stress, and it will also lower your blood pressure. That’s good for your health. What could be more relaxing than scritching your conures while they sit on you as you go about your household activities or cuddling your cockatoo while the two of you lounge on the couch? Petting an animal has been shown to reduce stress and lower blood pressure. Just remember to pet against the lay of the feathers, to avoid raising your bird’s stress levels. They don’t generally like to have their feathers smoothed with stroking. Scritch against the grain. As you get older, you might start slowing down and not learning as much. That can put you at risk of early dementia. The phrase “use it or lose it” applies to your brain as much as anything else. 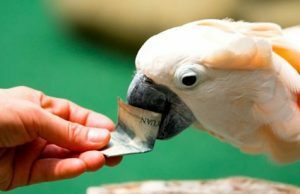 Teaching tricks to your bird, of any species, keeps your mind sharp as well as entertaining your feathered friend. This brain exercise is better than medication in promoting healthy cognitive functioning. When’s the last time you taught your bird a new trick, or introduced a new puzzle toy into the aviary? If you haven’t tried any tricks yet, why not give it a go? 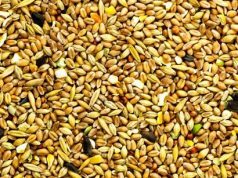 Check out our Bird Training Guide for Beginners to get started. You will quickly discover that even the slowest of finches can learn to land on your hand to get a treat. Next articleWhy Does my Cat still have Fleas? 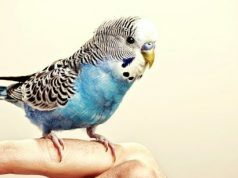 From stepping up to learning to talk, taking the time to train your pet bird can be a rewarding experience for you and your feathered friend.